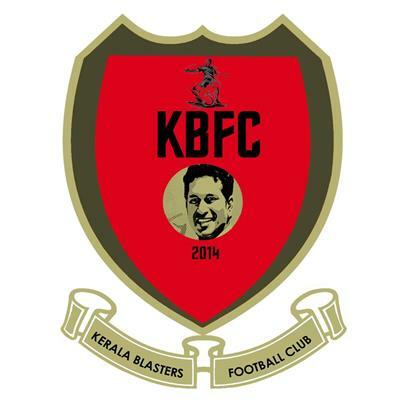 With 4 months left for the Indian Super League (ISL) football tournament, the Kochi team co-owned by cricket legend Sachin Tendulkar has been named as ''Kerala Blasters.' Sachin who is on the move to revive Kerala ootball is much ambitious about his new venture. He has dedicated the team to all the football fans in the state and hopes to bring back its golden days. During the 1980's and 90's, there were a lot of Kerala footballers in the national football team. But through Indian Super League (ISL), Sachin and his partners aim to bring glory for the state. The Kerala Blasters is co-owned by Sachin Tendulkar and Hyderabad-based media tycoon Prasad V Potluri. Being privileged to own a football club in Kerala, Prasad Potluri too wishes to build the sport for the next 20-25 years. Sachin had a short meeting with the Chief Minister Mr. Oommen Chandy while it was attended by K.M. Mani (Finance Minister), P.K. Kunhalikutty (Industries Minister), Adoor Prakash (Revenue Minister), Aryadan Mohammed (Power Minister), Anoop Jacob (Food and Civil Supplies Minister), P.K. Jayalekshmi (Youth Affairs Minister), K. Babu (Excise Minister) and Chief Secretary E.K. Bharat Bushan. An interesting plan is being envisaged to bring development in Kerala football. Along with encouraging football in schools and colleges, the KBFC has promised to train 1.25 lakh students in the coming years with all expenses borne by the club. The Indian Super League is an initiative taken by IMG-Reliance (a joint venture of IMG and Reliance Industries) and the All India Football Federation. The tournament which is planned to kick start in September 2014 would finish its first season in November. This sport event would follow the path of football league of United States. With eight franchises participating in the tournament, each team would carry a squad of 22 players each containing 10 foreign players, 8 domestic Indian players, and 4 local Indian players. Sachin Tendulkar even took the request of the state government to become the Goodwill Ambassador for the National Games to be held during January-February 2015.